Notably, the EPA reports that petroleum system emissions have decreased since 1990 due largely to decreased venting and flaring. EPA data show that emissions from associated gas venting and flaring decreased by 36 percent from 2015 to 2016. Notably, venting and flaring emissions have been revised downward dramatically across the board from what was reported in last year’s GHGI. EID will take a deeper dive into this and other notable methodological revisions in the coming weeks. 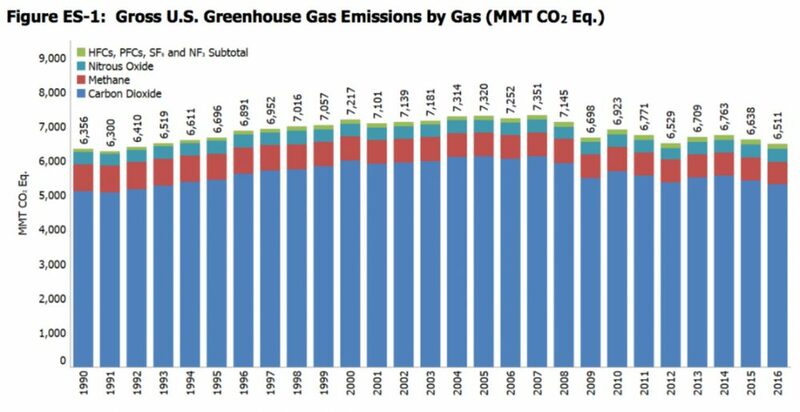 The final 2018 GHGI also shows that overall greenhouse gas emissions and carbon dioxide emissions continue to decline in the United States. As the following chart shows, overall greenhouse gas emissions declined 2.5 percent from 2015 to 2016. Overall U.S. carbon emissions fell two percent from 2015 to 2016 and are down 13 percent since 2005, according to EPA data. These continued declines are largely due to the fact that power sector carbon emissions (1,809.3 mmt) are at their lowest levels since the GHGI debuted in 1990. In fact, as EID has previously reported, power sector carbon emissions are at their lowest levels since 1988 and the Energy Information Administration has credited roughly two-thirds of power-sector carbon reductions since 2005 to fuel switching to natural gas. 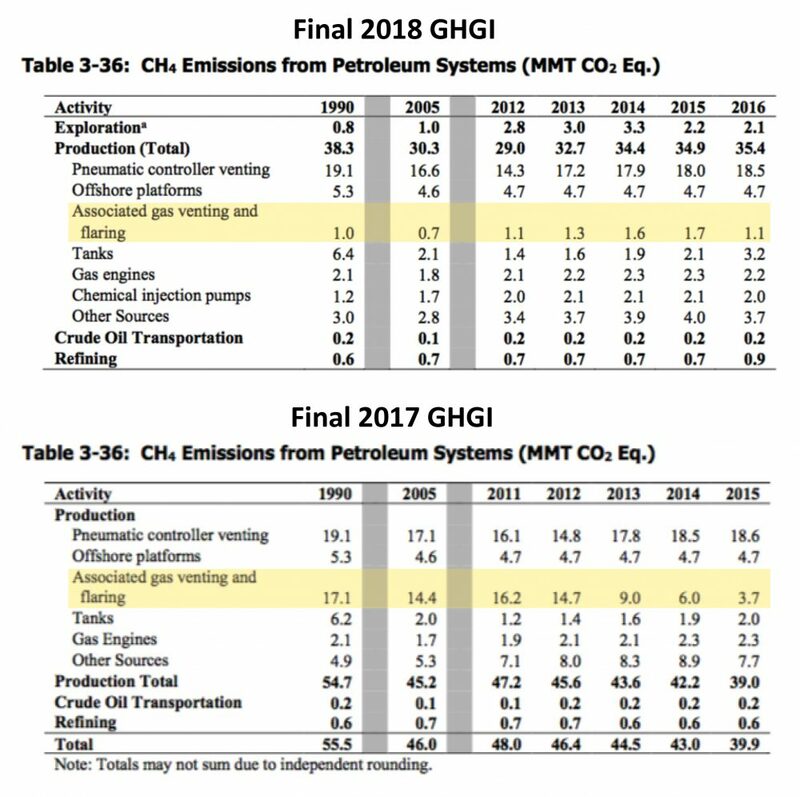 The continued GHG reductions detailed in this EPA report have come at the same time domestic oil and natural gas production has surged toward record levels, providing further evidence that the United States can develop the incredible energy resources that have been unlocked by fracking in an environmentally friendly fashion.